This page is designed to educate and assist you, the buyer, in your quest to purchase the right FJ-40 at a fair market price. 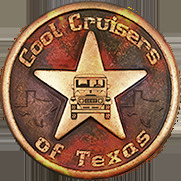 Here at Cool Cruisers of Texas, we receive dozens of calls each week from customers eager to learn more about FJ-40's and what to look for when shopping for the right Land Cruiser. We buy � through � FJ-40's. These year models have the features most desired by the mainstream market; i.e... Disc Brakes, Larger 2-F Motor, 4-speed Transmission, and Rear Ambulance Doors . We will occasionally purchase a � and older if the body is rust free. FJ-40 Motor and Transmission: � to � models feature the larger 2-F, 6 cylinder motor with 4-speed transmissions. � and older models have a slightly smaller F motor, 6 cylinder motor with 3-speed transmission. Note: Between � and �, the motors, transmissions and brakes (listed above) changed at different production dates during this two year period. 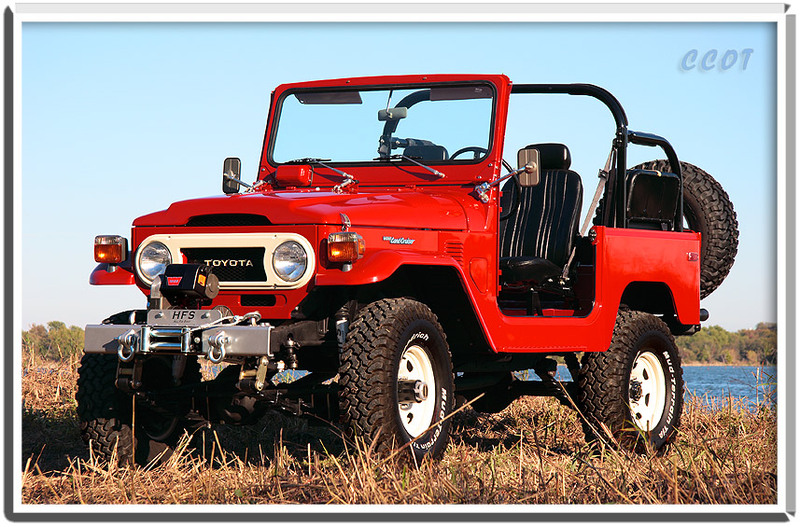 If you are considering the purchase of a FJ-40 during this period, make sure you understand exactly how the vehicle is equipped - i.e. motors (F or 2-F), transmissions (3-Speed or 4-Speed) and brakes (Disc or Drum) - so you抣l know exactly what you are buying. FJ-40 Rear Doors: In 1975, Toyota switched the FJ-40 rear door configuration from a 3 door hatch back system to an ambulance door system (1975 through 1983), making it possible to access the rear cargo area of vehicle without having to swing away the rear spare tire rack. FJ-40 Rust and Metal: 1974 and older FJ-40's, though lacking in some modern features, have the best metal of all. You won抰 find any spec's on metal quality, but after restoring hundreds of body tubs, we can clearly report the differences in year models. FJ-40's have been sent to us by customers for rust repair and installation of our body panels from all over the U.S. and Canada, and the 1974 and older FJ-40's have the highest grade (most rust resistant) metal of all. 1975 to 1978 have the next best metal and 1979 to 1983 have a more corrosive metal. FJ-40 Gearing: � to �, all FJ-40's have 4:11 gears (hiway speed approx. 58 mph @ 3,000 rpm). � to �, all FJ-40's have 3:70 gears (hiway speed approx. 62 mph @ 3,000 rpm). Note: Tire height can change gear ratios to suit your needs. FJ-40 Emissions, Federal E.P.A. : Emissions and smog devices are mandatory (per the Federal E.P.A.) to register and/or safety inspect your FJ-40 in all states. When buying an FJ-40, make sure emissions are present; no state is exempt of these Federal Emission Requirements. FJ-40 Equipment you don抰 want missing or Modified: � to �, Hard Top & 4-doors: all steel body tub / steel fenders; running boards; rear jump seats; center console; sun visors; good headliner; tool kit & jack; original front seats; floor mats; upper dash pad board / lower dash knee pads; roll bar; seat belts; glass; tire rack; license plate brackets; bumpers; original paint; unmodified body; turn signals; emblems; keys - ignition / gas door key, and small rear door key; skid plates; emissions; exhaust; intake; carburetor; air cleaner; 2F motor; original transmission and more. FJ-40 Mechanical check: No exhaust leaks; no carburetor problems / proper choke function; straight line brake stop @ 45 mph; motor compression checked; transmission / driveline & 4WD checked / function; color of exhaust & oil; sound of motor at low idle; sound of motor and drivetrain @ highway speed (does, or has, the motor ever run hot? ); hoses and belts new; cooling system restored (i.e. radiator, fan clutch, thermostat, water pump, belts, hoses; Motor ever run Hot? Service records and more.